Dunville’s was once one of the biggest whiskeys in the whole of Ireland, and the pride of Northern Irish whiskey. 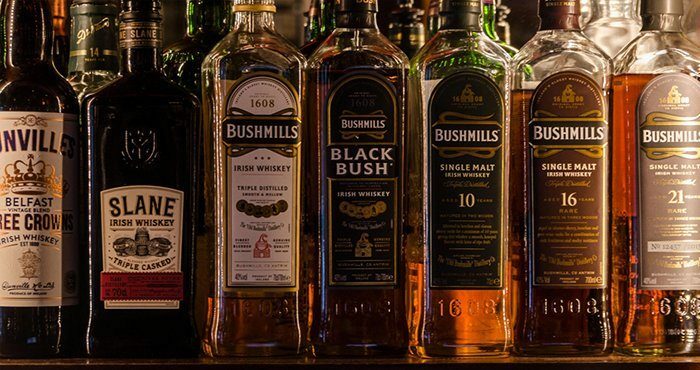 It was distilled at the Royal Irish Distillery outside Belfast, which had an output of 2.5 million gallons per annum, sending its famous Dunville’s VR and Dunville’s Three Crowns bottles to an adoring public all over the world. Though it didn’t suffer from the trade wars and turmoil of independence and civil war like its southern cousins, Prohibition did affect the distillery greatly. However, when the distillery was closed down, following the death of the last Dunville in 1936, the operation was still actually profitable! In any case, the whiskey remained off our shelves for nearly 80 years, with only old bottlings surviving and turning up at auctions, often hitting four figure prices. In line with the rest of Ireland, a revival movement took off and now, beside the sea on the Ards peninsula, the Echlinville distillery is bringing Dunville’s whiskey back to life. The founders of the distillery are local and have intense knowledge of the surrounding terrain and topology, having farmed it for centuries. All of the barley is locally sourced, and the whiskey itself is a labour of love for those involved, who are making the dreams of all those who desperately wanted Dunville back in their lives come true. At the moment, Echlinville has two whiskeys available: Dunville’s PX Cask 10 Year Old Single Malt, and Three Crowns, a non-chill filtered blend of three whiskeys – a 4 year single grain, and 10 and 15 year single malts.